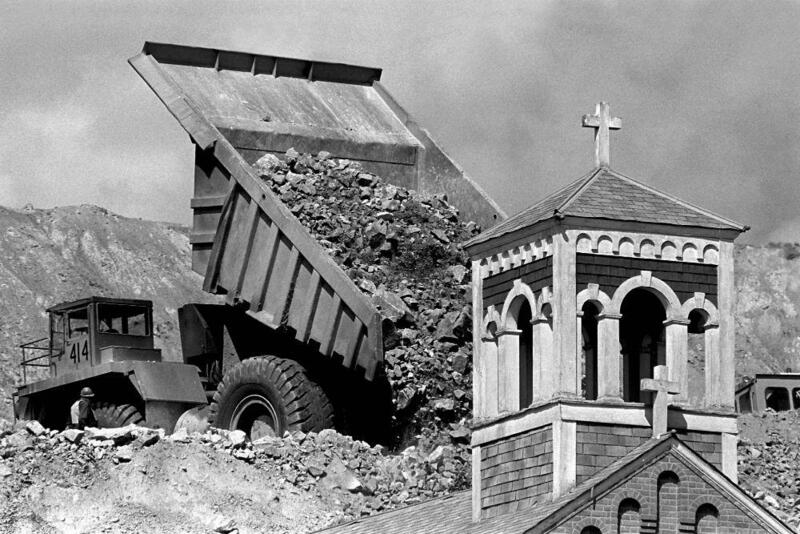 A mining dump truck buries the abandoned Holy Saviour Church in the McQueen neighborhood in Butte during the expansion of the Berkeley Pit. “The great thing about this spot is that anywhere you look, and that’s the beauty of Butte, it affords you great vistas," Hinick said. It’s a frigid winter day, and I’m shivering next to Hinick. He's tall, has a mop of floppy white hair, and doesn’t seem to notice the low temperatures. And he’s right, the view is worth it. 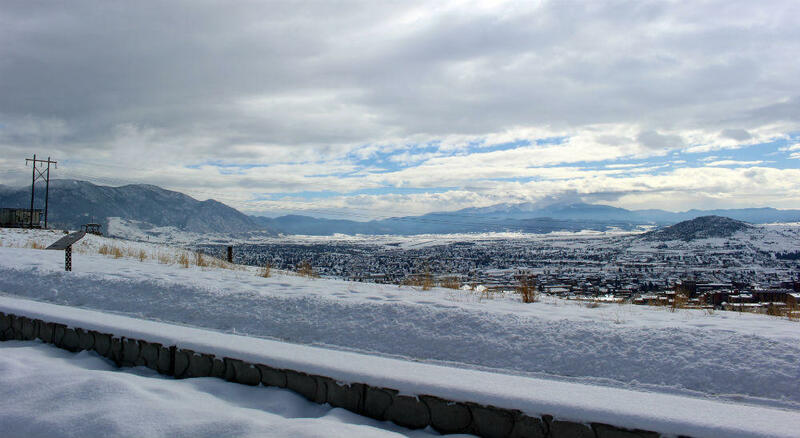 The Mountain Con Mine overlook park in Butte offers sweeping views of the Summit Valley. Tall black headframes loom behind us. The Summit Valley spilling out below is quiet and very white. New snow cloaks the Hill and the Flat and clouds smudge the sky. This is one of his favorite places to take pictures. In his 42 years at the Montana Standard, Hinick took too many photos to count. “I’m thinking tens of thousands per year," said Hinick. And that was while he was still shooting film, before making the transition to digital, a shift he says he had a little trepidation about at first, but then fully embraced. It was his departure from the Standard that was not an ending he was ready for. Hinick is 64 years old. He says by age he was close to retirement, but not in spirit. “You know I really envisioned working until they took the camera out of my cold dead hand," Hinick said. Visually, Butte is a photographer’s dream. 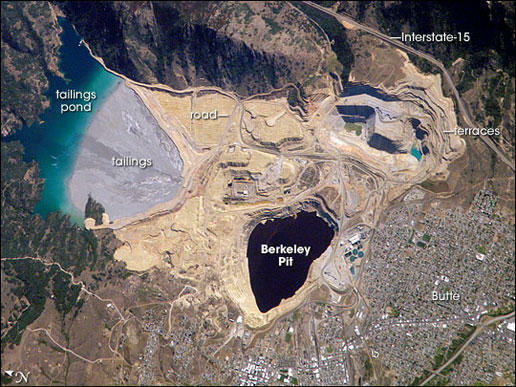 And Hinick says he’s never fallen out of love with these sweeping views, the clarity of light, or even the Berkeley Pit. Over the course of his long career as a photojournalist, Hinick was “that guy with a camera” on the streets, documenting day to day life in Butte and major eras of change for the Mining City. 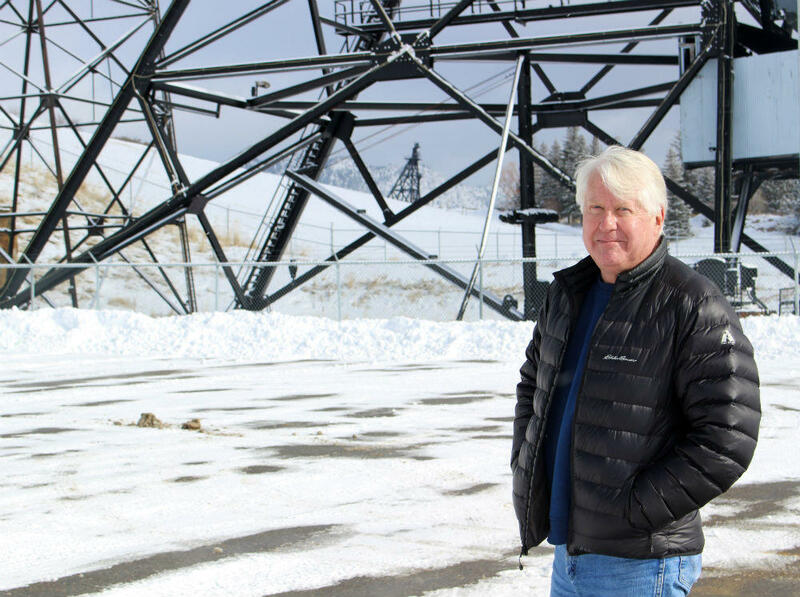 Walter Hinick, former staff photographer for the Montana Standard, stands next to the Mountain Con Mine in Butte in February 2018. One of those changes was the transition from underground mining to open pit mining in the 1980s. He got to go a mile under the surface, to the bottom of the Kelly mine. “That was really something. To see those pumps on the 3900 level that they shut off that flooded those mines. And to walk through with a geologist and see a vein of copper. 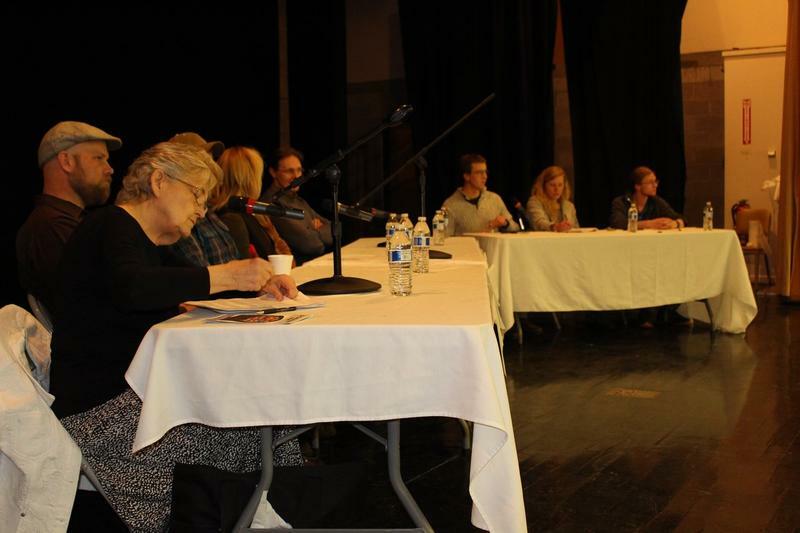 You come to understand what your community is about," Hinick said. For Hinick, who grew up here, it’s about the camaraderie that initially developed among miners, when everyone had a partner underground. And that bond is something he experienced in his decades in the news business too. “These people have that kind of camaraderie within their DNA and I think it was passed on from generation to generation and continues to be passed on. 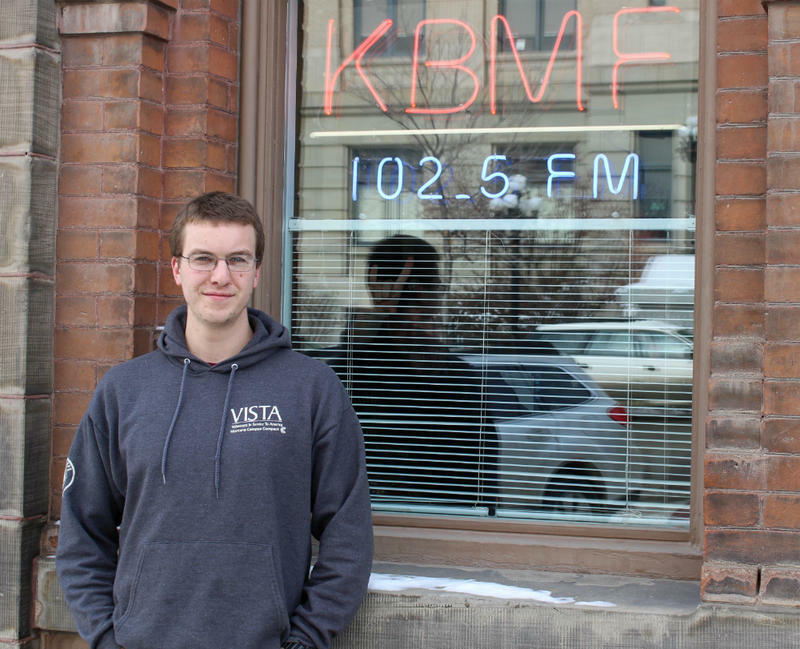 That’s what Butte’s got going for it," said Hinick. One of his most well known photographs is also from that era, when the Berkeley Pit was expanding into the McQueen neighborhood, which no longer exists. Hinick’s photo of a mining dump truck burying the abandoned church’s steeple landed on the front page the next morning, and has resurfaced in documentaries since. "I think it was a poignant image that a lot of people remember when they think about the Anaconda days in Butte," Hinick said. Later, he found out it was the product of a lucky accident. The mining company had mistaken him for a member of the Montana Historical Society, who ended up getting there too late, after the church was gone. While Hinick acknowledges the staying power of images like that, he doesn’t feel they’ve shaped Butte’s identity. But he says they have contributed to the community dialogue, and the historical record. Hinick was also behind the lens during another monumental time for Butte - the building of the Lady of the Rockies statue on top of the Continental Divide. He got to take all the aerial shots, from inside the chase helicopter. 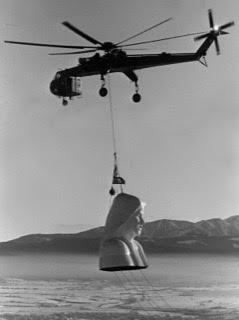 A helicopter puts the final piece of the Lady of the Rockies statue in place on top of the Continental Divide east of Butte. It was a feat of engineering, but Hinick says more importantly, it brought the town together at a time when the mining industry was shrinking and people needed a cause to rally behind. In more than four decades at the paper, Hinick shot many memorable features, and took portraits of the famous and infamous, like Evel Knievel. But it was the adrenaline rush of doing dailies and always trying to get what he calls “ the good stuff” that continued to feed his artistic drive. Walter Hinick plans to find a way to keep doing what he loves, making pictures of his hometown and Southwest Montana, as a freelance photographer.